With this guide, we want to help you make your dream vacation a reality. Going abroad for a vacation with our spouse is a dream we have all harboured at some point. We delay it because we tell ourselves and each other that we can’t afford it, and eventually just do it last minute because we get desperate. But isn’t there a better way? A way to fund a trip to an international location and have the vacation of our dreams- without disrupting our financial future? There’s no way for us to know exactly where you want to travel, but we’ve presented to you a list of options that you can consider to raise funds. Remember: this isn’t for instant weekend getaways or impromptu road trips. With this guide, we are tackling the issue of the dream vacation- the one you and your spouse always thought you could never afford. As an illustration, we have picked a beautiful but expensive destination- Paris, the capital of France, in Europe. 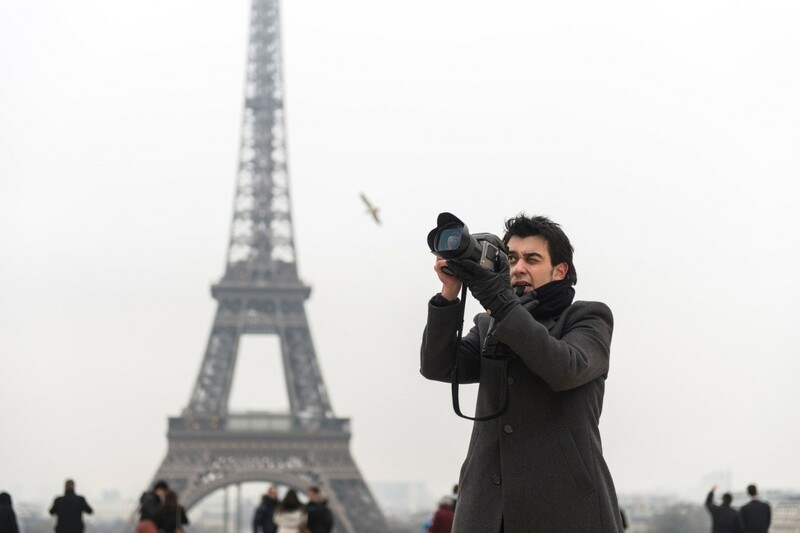 A trip to a world-famous tourist location such as Paris is likely to cost you and your spouse a few lakhs of rupees. Let’s break it down. As explained above, there are a number of expenses you will have to incur. Probably the most important of these is travel insurance, because it can help you deal with financial troubles ranging from loss of baggage, cancelation of flight, as well as medical care abroad, and is thus more an investment than an expense. Some options can provide funds immediately while you may have to wait for a few years in case of other options. In any case, it doesn’t make sense to wait for more than three years to raise cash for the trip. So, let us take a look at some options that can help you two raise funds for the trip. This is the simplest option if you want the money immediately. It’s also the most expensive. If properly planned for, a personal loan of Rs. 3.5 lakhs should not be a problem for somebody earning Rs. 75,000 to Rs. 80,000, especially a couple. A 3-year loan will increase your EMI burden by Rs. 13,500 and the money will be credited into your account with no questions asked. However, this option has many negatives. Firstly, you don’t get to plan your savings towards a specific financial goal. Such an exercise can be a great way to learn how to save for your home’s down payment. Secondly, your Paris trip will cost Rs. 4.93 lakhs when you include interest and processing charges. Finally, it doesn’t make sense to use a personal loan or a high-balance credit card for a foreign holiday. Related: How does employer profile affect loan eligibility? Opening a RD and depositing Rs. 9,700 per month for three years at an interest rate of 7% should help you accumulate Rs. 4 lakhs at the end of the third year. However, you cannot wait for 3 years and withdraw the entire amount in full. You need to plan your withdrawals as below. To ensure you have the amount when required, you may have to invest Rs. 11,400 per month to ensure you can withdraw money as and when required for the expenses. Let’s see if there is a cheaper or faster way to finance your Paris vacation. A look at the top performing mutual funds in India for 2016 shows that some Small and Mid Cap funds have earned 16-20% returns over the past one year and as much as 200% returns over the past three years. Presuming 20% returns, investing in a SIP in a high-return fund will helpe you accumulate Rs. 4 lakhs in three years at just Rs. 7,700 per month. You can invest in different funds like Small Cap, Large Cap, Thematic funds etc to minimize risk and maximize chances of earning returns at a rate higher than that of a recurring deposit. To play it safe, you can choose to invest in fixed-return debt funds. Mutual fund investments held for more than one year are considered long-term capital assets as per the Indian tax law. For equity-oriented funds held for three years in this case, you need not pay any tax on dividend or capital gains after liquidation of your investment. If you opt for low-risk debt funds, then you must be prepared to pay a tax of 10%/20% on indexed/unindexed capital gains respectively. A blue-chip company like Infosys has provided 28% returns over the past three years. Presuming such performance continues, you can generate a corpus of Rs. 3.5 lakhs by investing less than Rs. 5000 per month. However, the risk with equity and mutual fund investments is that past performance may not be replicated in future. Further, there is risk of loss of capital, which risk is completely absent in case of a RD. On the flip side, you can end up funding your Paris trip by investing just Rs. 1.5 lakhs to Rs. 2 lakhs over three years and letting your investment earn the balance amount required for the trip. Since shares held for more than one year are considered long-term capital assets, you won’t have to pay any tax upon sale. However, you will have to pay short-term capital gains tax at 15% if you sell within one year of purchase of the shares. In case of mutual funds and equity investments, you can make strategic changes at regular intervals to boost your returns. This will help manage the periodic withdrawals in the last year without having to increase the monthly outflow. So, when should you start saving? If you are ready to dabble in the share market, then you can build your corpus in just 12 months. In case of mutual funds and recurring deposits, a three-year timeframe is ideal if you cannot save more than Rs. 8-10k per month. If you want to leave immediately, then perhaps the personal loan is the only viable option. Either way, don’t delay, and start planning today!